The level of technical competence that today’s kids have is almost scary. They seem to understand technology at a very young age, with some kids playing with tablets and laptops before they’re even potty trained. 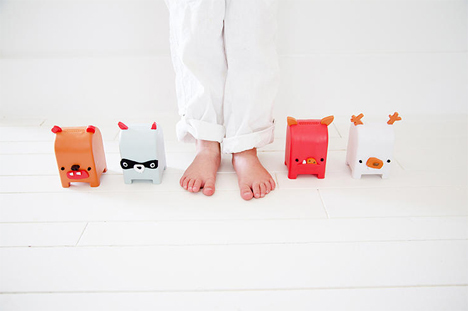 Designers Gauri Nanda and Audry Hill set out to create a 21st century children’s toy that stayed away from the typical screen-based kids’ entertainment. 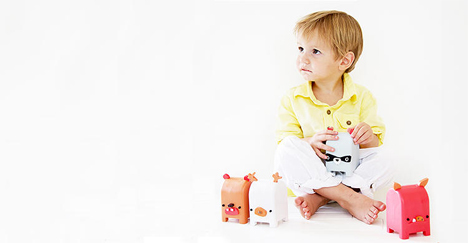 They created ToyMail, a line of adorable characters that can send and receive messages from family members through the grownups’ smartphones. It works by letting the adult (or other relative) record a voice message for the child. The mailman will then make a noise (like oinking or grunting) to let the child know they have a new message. The message is delivered via wi-fi. If the child wants to respond, they only have to talk into the built-in speaker. It’s kind of like an intercom system for families, but one that doesn’t cost a fortune to install. 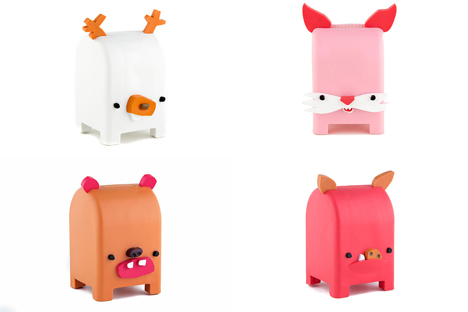 ToyMail characters are available for $50 each here. See more in Audio & TV or under Gadgets. November, 2013.